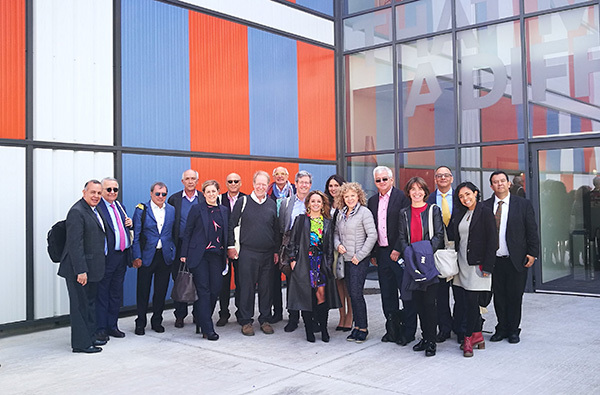 On 25 March, a Colombian delegation visited Cidetec as part of the reciprocal trade mission of businesses and institutional representatives organised by the Provincial Council in partnership with the Gipuzkoa Chamber of Commerce. The visit, in which 15 people participated representing the Colombian world of business, commerce, education and institutions, included a presentation of Cidetec by its general manager and a tour of the Cidetec Surface Engineering premises. The visitors showed considerable interest in the nature of the centre, its philosophy and research activity, asking numerous questions and expressing interest in the possibility of establishing ways to work collaboratively with Colombian industry.